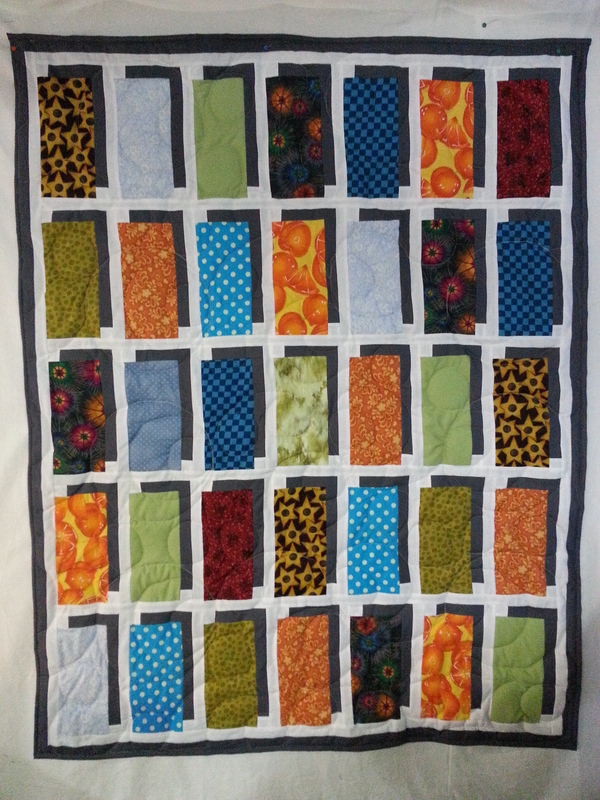 I used clear top thread and black bobbin thread on this special quilt because the back is black. Meander pattern. It is a gift to a grandchild who is in martial arts. Grandma said she never wears the T-shirts but collects them all, so a quilt was the perfect solution. People ask me all the time how much it costs to make a quilt. We talk a little about their project and then I give them a quote based on their project. They are stunned and ask, “Why so much?” People are used to getting slave labor quilts at walmart for next to nothing. They seem to think personally designed quilts should also be priced on a slave labor pricing scale. Quality work, in a first world country, is priced at a comparable cost to other quality goods purchased in first world countries. Quilts are time consuming, skill laden, original works that require time and expertise. When you commission a quilt you are paying for the years of experience and personal dedication to learning and practicing specialized skills. If it were easy everybody would do it. This is an original design, 16″ x 16″, machine quilted, hand painted, professionally framed and ready for hanging. $350.00 + shipping. You can reach me at 218-779-6145. Well, I tried but my art didn’t make it into the show. So it is framed and ready for sale. Original design, machine quilted, hand inked, ready for hanging. 16 x 16. This was conceived as part of my Arts Partnership Grant. 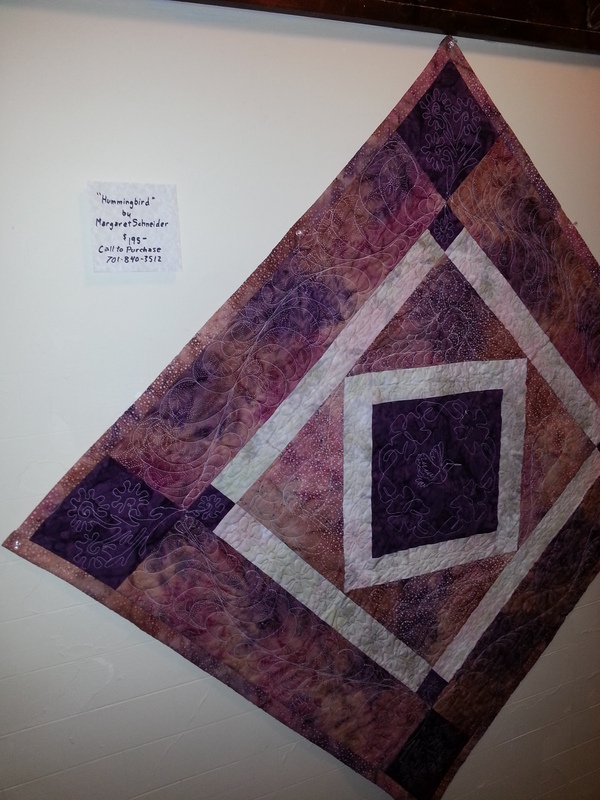 The premise is can quilting become wall art. I think so, how about you? Vino! is a 21 x 23 inch wall hanging ready to go home with you. 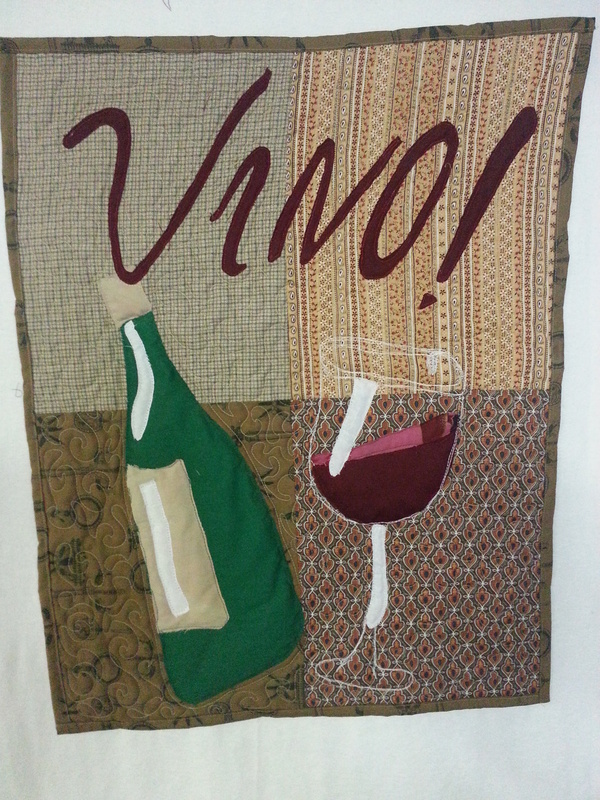 Original design celebrating vino and friends. contact me at 218-779-6145 to purchase. The Hummingbird quilt is machine pieced and long arm quilted with a Gammill stitch regulated machine. I really had fun with this quilt. 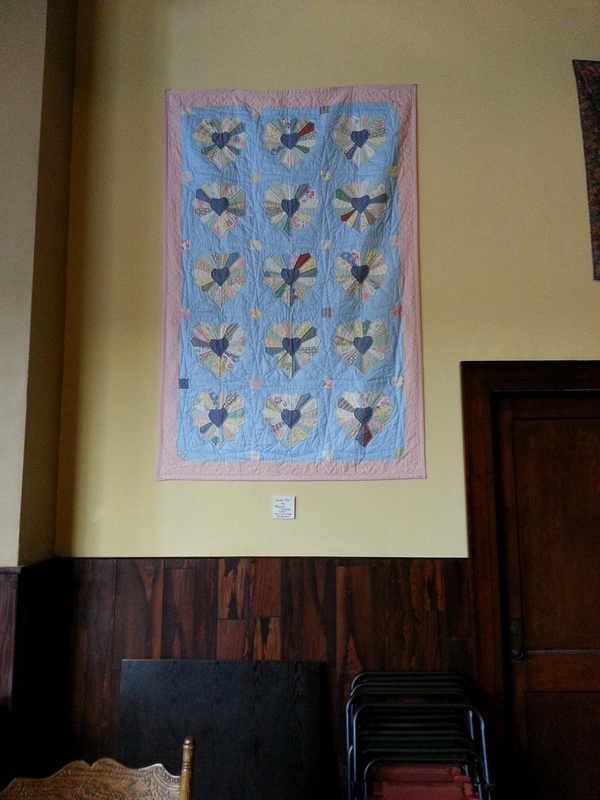 My Dresden Hearts quilt is on display at The Vault in Valley City, ND. 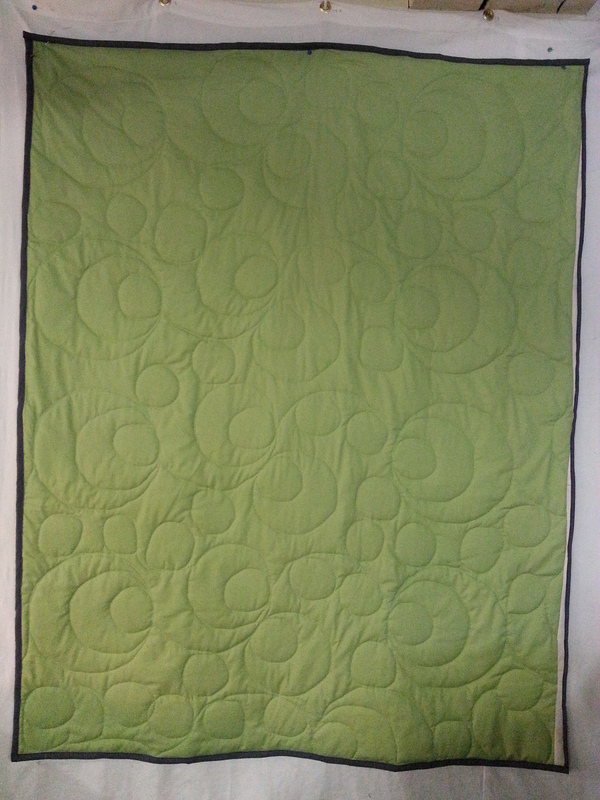 The quilt is machine pieced and hand quilted. 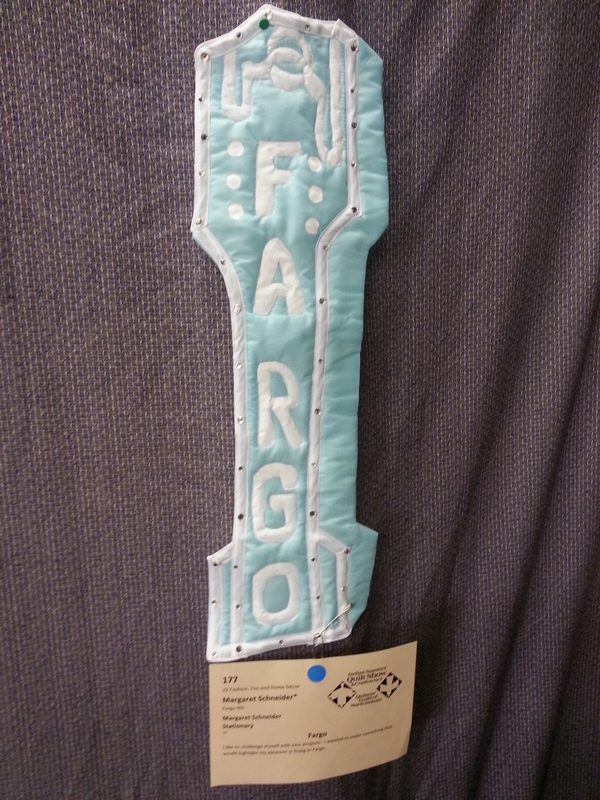 Fargo, is a 22″ x 9″ wall hanging I whipped up for fun. memory quilt 36" x 43"
monkey see monkey do quilt 36" x 40"
T-shirt quilt 72" x 84"